As the Lone Star Project expected, State Representative Marc Veasey has emerged as a leading contender along with controversial Dallas attorney Domingo Garcia. It is still possible, however, that the political skills and/or financial resources of other candidates will change the dynamics of the race. The relative strengths and vulnerabilities of the candidates are becoming apparent. Below, the Lone Star Project has broken down the candidates into three tiers. We will update our tiers as the campaign develops in the coming weeks and if candidate prospects change. Veasey is the highly regarded current State Representative of House District 95. Veasey is one of the most aggressive advocates for minority voter representation in the new congressional map. He has been a strong and effective opponent against Rick Perry and Republican priorities in Austin. Veasey also serves in a leadership position as Chair of the State House Democratic Caucus. Domingo Garcia is a long-time political activist who has both won and lost a number of political races in the past. He has served in the State House and on the Dallas City Council. Garcia is a millionaire attorney and in recent years has concentrated on building his law practice and supporting the political career of his wife, Elba Garcia. Salazar is a former Dallas City Councilman who enjoys the strong support of popular State House Member Roberto Alonzo. Salazar surprised many by raising over $70,000 during the first reporting period and appears to be wisely saving it for voter communication. Hicks resigned from the Fort Worth City Council to run for Congress. She is the daughter of former judge and long-time political activist Mary Ellen Hicks. Kathleen Hicks is troubled by past alliances with Tea Party Republicans like GOP Congressman Michael Burgess and has been unable to gain any early traction. (Source: Tarrant County a hot spot in brewing battle over redistricting, Fort Worth Star-Telegram, September 10, 2009.) However, given her family's deep roots in Tarrant County, she should not be discounted. Alameel is unknown to area voters but is clearly willing to spend his own funds to put his name and face in front of voters. He has loaned his campaign over $2 million dollars and has spent approximately $500,000 on billboards. His campaign is directed by highly regarded State House Member Yvonne Davis. However, while Alameel has supported key Democratic office-holders in the past, he has also contributed large amounts to extreme right wing Republicans like David Dewhurst and Greg Abbott. Valdez is the long-time sitting Justice of the Peace in Tarrant County Precinct 5. While Valdez has not raised much money or built an organization outside his base, he is well-known and well-liked within the growing Hispanic community in Tarrant County and respected by those who know him county-wide. Seven other candidates have filed in new CD33. Among these, Chrysta Castaneda has raised enough money to hire professional consulting services. Carlos Quintanilla and Jason Roberts have been active as neighborhood organizers in Dallas. Other candidates have yet to demonstrate an ability to communicate with a significant number of district voters. Veasey is the only candidate in the race who has consistently and directly opposed Rick Perry and the Republican leadership in Texas. Veasey has led Democratic opposition to Perry's cuts to neighborhood schools, cuts to senior nursing home funding, the discriminatory Texas Voter Photo ID law and the discriminatory Congressional, State House and State Senate redistricting plans. Veasey received the early and important endorsements in the race, winning support from the Texas AFL-CIO, the Dallas County Coalition of Black Democrats and former US Congressman Martin Frost. Veasey has, by far, the largest and broadest donor base of any candidate. To date Veasey has raised more money from more individuals than any of the other 11 candidates in the race. Veasey has raised close to $200,000, and most impressive, it has come from more than 200 individual donors who live in all parts of north Texas. Veasey has more cash on hand than any of the other candidates except millionaires David Alameel and Domingo Garcia, who are self-funding their campaigns. Veasey has the largest voter base within the district. Veasey’s current House District is almost entirely contained within new Congressional District 33. In fact, in CD33, of the 2008 primary Democratic primary voters still on the voter rolls, almost 50 percent live in Veasey’s State House District. Veasey is relatively young at 41 years old and is not personally wealthy. Unlike Domingo Garcia, who is a millionaire trial attorney, Veasey does not have the luxury of self-financing his campaign. To be elected, Veasey must do it the traditional way - winning support from voters AND donors, which is difficult in a short period of time under restrictive federal guidelines. 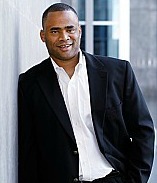 Marc Veasey’s first campaign for public office was in 2004, and his State Representative seat is the only office he has held. In contrast, Domingo Garcia has been a candidate for one office or the other in all but 7 of the last 22 years. Congressional races are big, expensive and have an impact beyond the borders of the districts in question. While his early performance shows every sign that Veasey is up to the challenge, the next six weeks will test his ability to run a disciplined, adequately funded and focused campaign at a level beyond his earlier State House campaigns. Social skills and wealth make it relatively easy for Garcia to win new friends. However, he doesn’t appear to have many “old” friends. Some of Garcia’s most intense rivals used to be allies. Most famously, Garcia was once a very close personal and family friend to current State House Democrat Roberto Alonzo. However, Garcia shattered their friendship by filing and running against Alonzo in 1996 after promising he would not do so. Garcia ran a bitter, negative campaign against Alonzo. Garcia’s time in the Legislature was relatively short and controversial. He often aligned himself with Republicans and alienated fellow Democrats. Texas Monthly Magazine listed Garcia as one of the State’s ten worst legislators and called him “a one-man leper colony.” Ultimately, Domingo Garcia’s tenure in the State House was cut short when he lost to Alonzo in a bitter rematch in 2002. Garcia’s political skills won him a seat on the Dallas City Council in 1991. However, once on the council, Garcia again alienated progressive members on the council while aligning with the conservatives. Garcia unsuccessfully ran for mayor twice – once against Laura Miller and later against Ron Kirk who is currently President Obama’s US Trade Representative. During the 1995 mayoral campaign, Garcia called himself “the most conservative candidate in the race.” He failed to make the run-off in both mayoral elections and endorsed the eventual loser of the run-off. Perhaps most damaging is Garcia’s history of betraying Democrats and striking bargains with the most extreme and divisive Members of the Republican leadership. Garcia is the principal in a Dallas-based law firm that specializes in personal injury claims. Rather than spend time raising money, Garcia is able to buy his organization using personal resources. He has already put $300,000 of his own money into the campaign. Garcia presents himself with confidence and is a good public speaker. His trial attorney background and his experience in past campaigns have made him comfortable and natural on the stump. Domingo Garcia’s wife, Elba, is a talented and well-liked member of the Dallas County Commissioners Court. She is the first woman Democrat and the first Hispanic to sit on the Dallas County Commissioners Court. To the degree that voters know and see Elba, Domingo benefits. Garcia is supported by African American State Senator Royce West. West has been willing to risk his own political credibility by supporting the controversial Garcia. The support of Senator West deflects at least some attention from Garcia’s past feuds with other prominent Dallas African American leaders and his history of working with Republicans and accommodating their priorities.